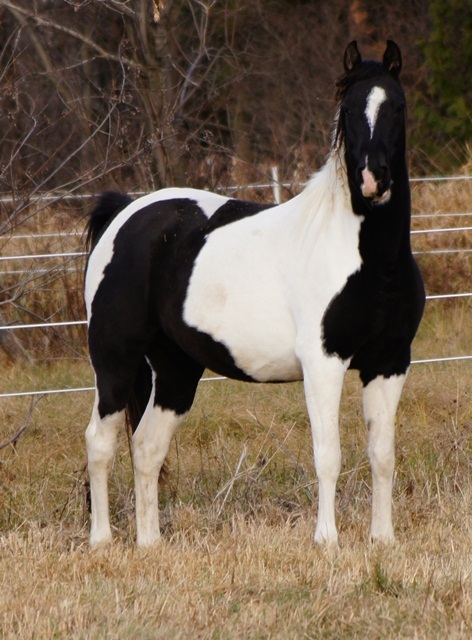 BL Royale Man (aka "JP") is our black/white Pintabian stallion, homozygous for the tobiano gene. He is sired by award-winning Pintabian stallion BL Alistar and out of the stunning SF Royale Beylena. JP is triple-registered in the Pintabian, Pinto, and International Pinto Arabian registries. He is 99.3% Arabian and has all of the classic Arabian style, standing tall at 15 hands. With his beautifully dished face, elegant floating trot, loving disposition, and high intelligence, JP will add beauty, style, and great personality to his foals. 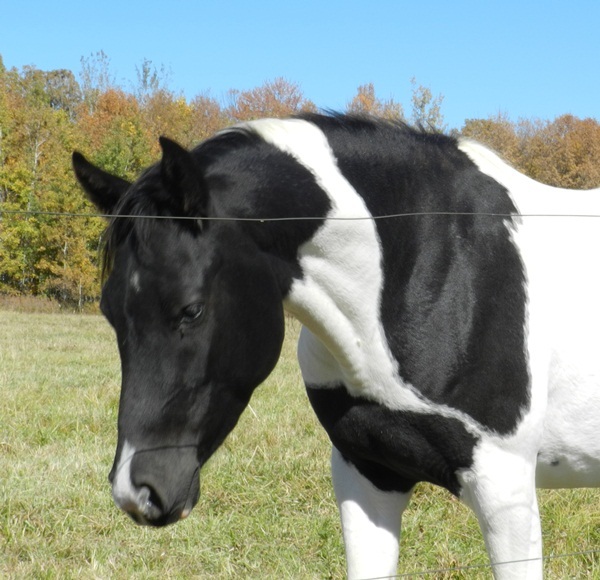 Sadie is a 2010 double homozygous black and white Pintabian mare. Currently in training to be ridden, Sadie is a sweet, beautiful mare with a bold look and stunning Arabian features. She stands around 15 hands tall and carries herself high and proud, much like her mother. Sadie is registered in both the Pinto and IPAR registries. This beautiful mare would be the perfect addition to any herd and will always bring new Pintabians to your breeding program. Congratulations to Susan McHone in Alaska on her new, sweet mare! We are pleased to welcome our newest addition to the herd, "Koda", a black and white 2012 Pintabian colt who epitomizes the Pintabian breed. With beautiful 50/50 black and white markings, an exquisitely dished face, tons of style, and an extremely personable disposition, he is an amazing colt. He is well-loved at the trainer's farm, where the kids ride him. Koda is registered with the IPAR, Pinto, and Pintabian registries. He would make the perfect stallion to start your herd! Congratulations to Mary Goericke on this loving addition to her home! 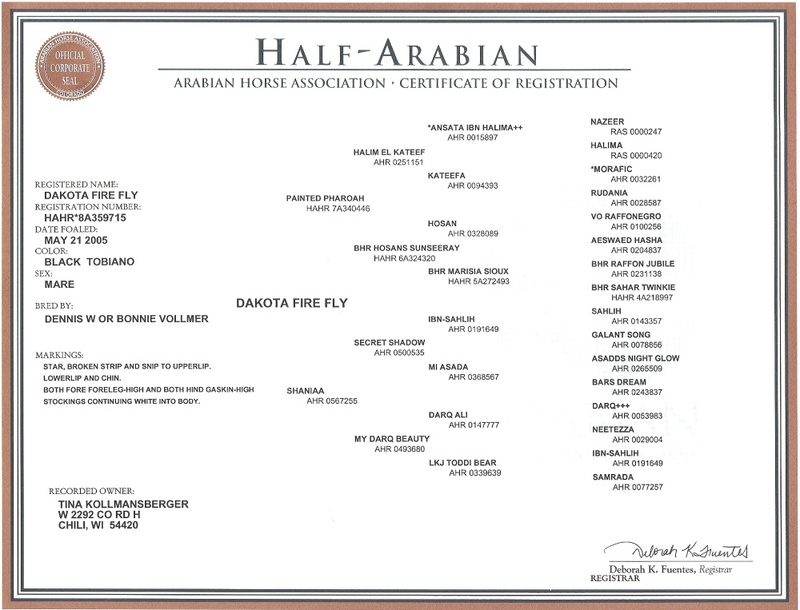 "Fly" is a 2005 black and white Pintabian mare, registered in the Half-Arabian, Pinto, IPAR, and Pintabian registries. She is 15.2 hands. 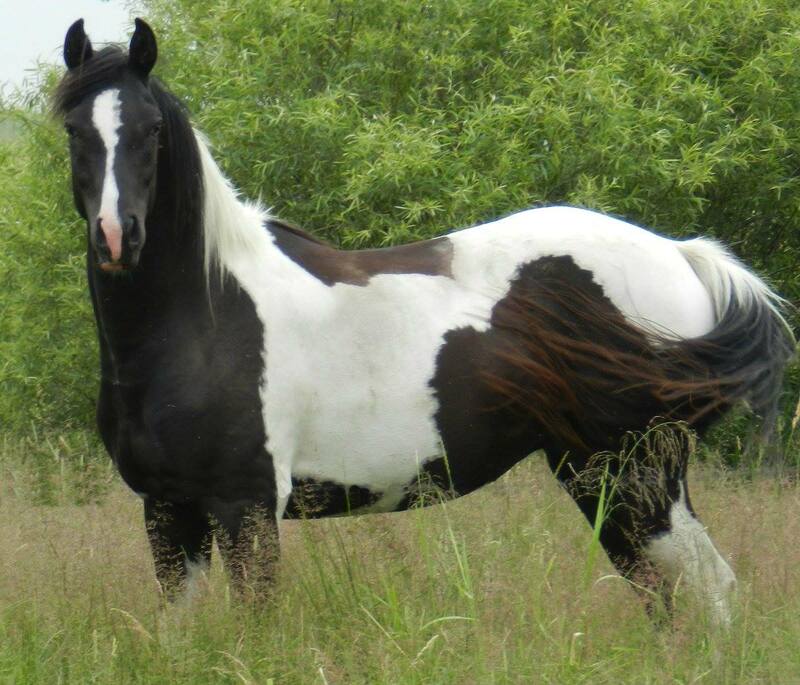 Her 50/50 tobiano markings, perfect conformation, level topline, and exotic Arabian look make her a prime example of the Pintabian breed. Bloodlines include double Raffon, *Asadd, *Ibn Hafiza, *Fadl, *Raseyn, *Morafic, *Ansata Ibn Halima, and Ferzon. 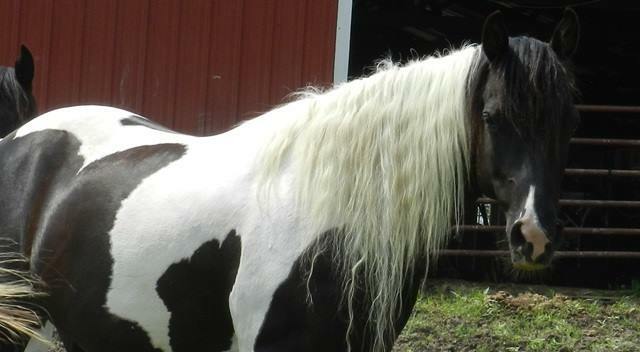 She has thrown two beautiful black and white foals, also listed on our website, Koda and Kassi. Can breed her to our homozygous stallion, JP. Congratulations to Alex Fischer in Switzerland on her purchase of this lovely mare! 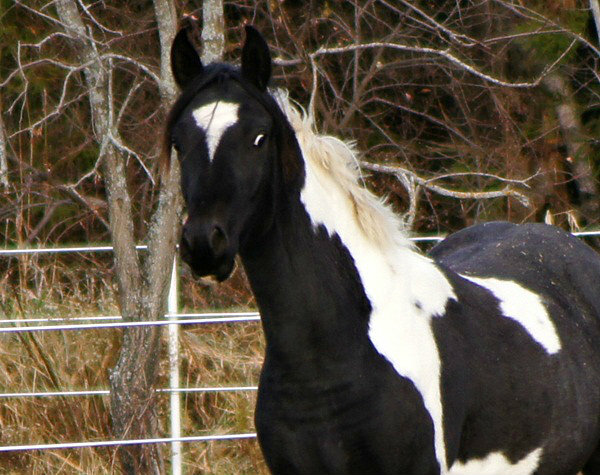 "Kassi" is a 2009 black/white Pintabian filly with looks and personality to spare! With her beautifully dished face, flashy looks, and sweet personality, she is everything that we breed for. She is trained to ride and loves children. Registered in the Pintabian, IPAR, and Pinto registries. This beautiful mare would make an excellent addition to any Pintabian breeding program.